Mitt Romney despises identity politics -- unless he's the one practicing it -- in which case he's fully on board. In his first campaign ad announcing his run, Romney attacked Trump over immigration. 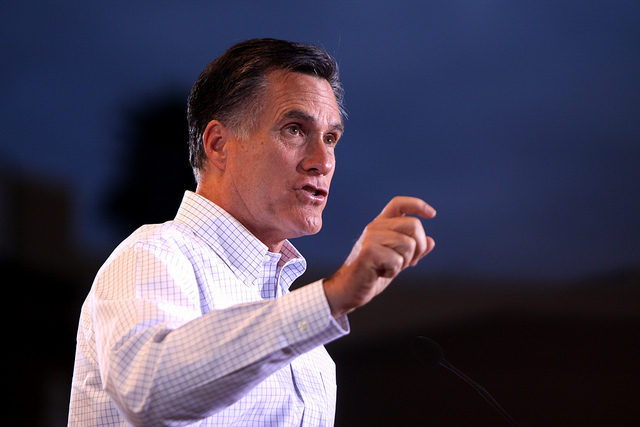 "Utah welcomes legal immigrants from around the world -- Washington sends immigrants a message of exclusion," Romney said. First, Trump's been largely unable to restrict immigration as the Republican's wealthy donors want cheap labor and Democrats want to import voters. Second, Utah's diversity is in its wide range of Europeans. 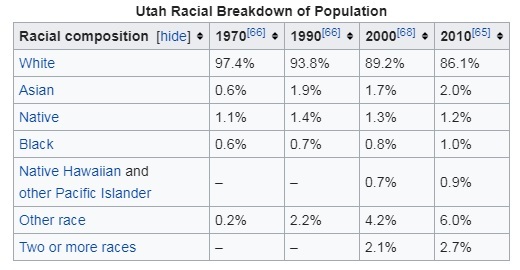 Though it's losing 4% every ten years, Utah in 2010 was still 86.1% white. Trump supports legal immigration, but opposes illegal immigration which is almost entirely from Mexico and Central America, not from "around the world." Romney could no longer get elected in Massachusetts due to the state's far-left turn, so he moved to majority white, Mormon Utah to coast into the Senate on identity politics alone. As ABC News reports: "Facing some skepticism from locals this week about the strength of his ties to Utah, Romney pointed out that his Mormon ancestors helped build the state before he came to help run the 2002 Olympics." All politics is identity politics. 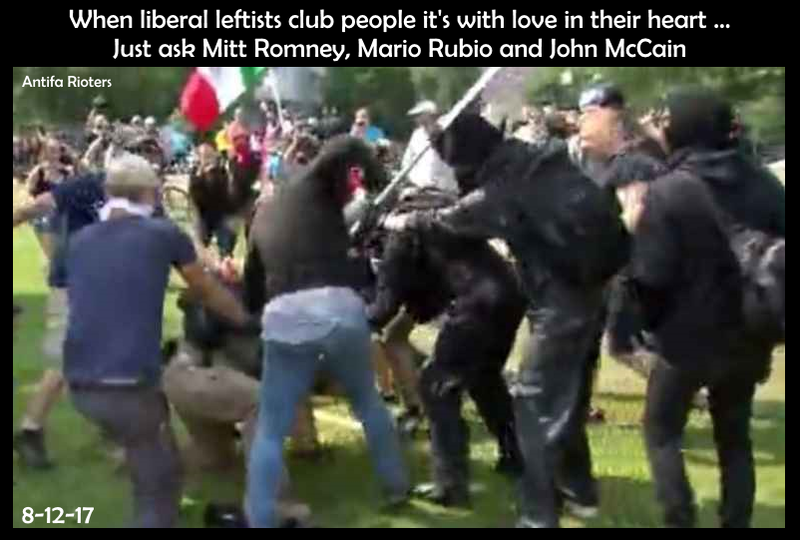 Romney has demonstrated he's going to be fighting against President Trump and with antifa, whom he believes is in a "morally different universe" than the alt-right. 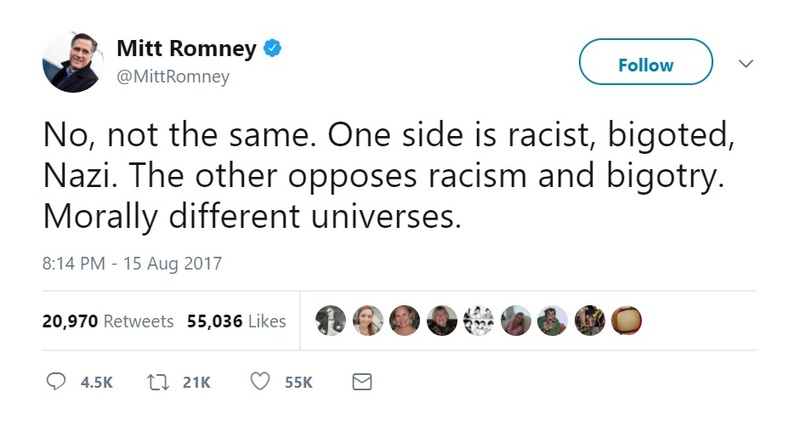 Though Romney denounces identity politics when it's practiced by the right, he's expecting to be elected on identity alone, that's why his website doesn't even have a list of issues he supports.